Important Notice: This cover only compatible with Apple iMac G6 Desktop PC Wired Keyboard US Version (MB110LLL/B) Please confirm your keyboard model before placing orders. Caution: This keyboard cover ONLY fits US version, not EU version. Please confirm your keyboard layout is same as listing picture. DO check your "Enter" key to make sure it is the same rectangle as other keys. If your "Enter" key looks like "7" shape (EU version), this cover can NOT fit Tailor Made: Same size as original iMac keyboard, every key is individually molded and specially printed Fully Protective: Waterproof and dustproof, protect your keyboard against spills, dust and other contaminants Comfortable: Soft durable silicone material makes no difference in typing with the cover on Long lasting: Flexible, washable, easy to apply and remove for cleaning or disinfecting Note: If you have any issue with this product at any time, please always contact us first before leaving feedback review. We will strive to fix the issue to your full satisfaction. Guaranteed! -Tailor Made: Keyboard cover only compatible with Apple Magic Keyboard (MLA22LL/A) released in October 2015 with US layout. EU layout---- the "Enter/Return" key looks like Arabic numeral "7" US layout---- the "Enter/Return" key is a horizontal wide bar) MAC Apple Magic Mouse Skin: Same size as the Magic Mouse -Fully Protective: Waterproof and dustproof, protect your keyboard and mouse against spills, dust and other contaminants -Comfortable: Soft durable silicone material makes no difference in typing with the cover on -Long lasting: Flexible, washable, easy to apply and remove for cleaning or disinfecting -Package: 1 pc skin cover for Apple Magic Keyboard (MLA22LL/A) with US Layout + 1 pc skin cover for MAC Apple Magic Mouse Keyboard Cover NOT Compatible with: - Apple iMac G6 Desktop PC Wired Keyboard US Version (MB110LLL/B) - Macbook Pro 13"- A1278 - Macbook Pro 13"with Retina Display - A1425 & A1502 - Macbook Air 13"- A1369 & A1466 - Macbook Pro 15"- A1286 - Macbook Pro 15"with Retina Display - A1398 - Macbook Pro 17" - Macbook White 13" - NEWEST MacBook 12-Inch with Retina Display - MacBook White 13-Inch. 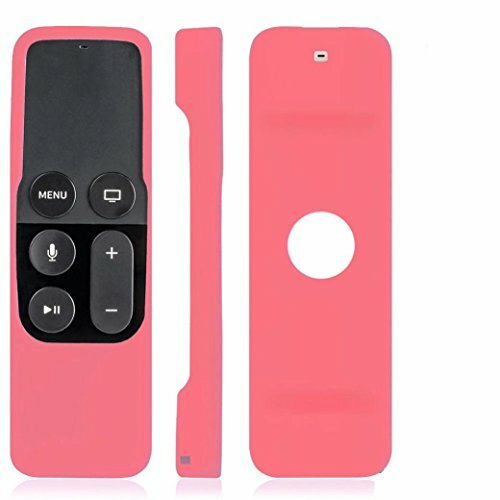 This Mouse cover compatible with -- MAC Apple Magic Mouse Please confirm your keyboard and mouse model before placing orders. The new style keyboard cover is not only protect your keyboard, but also decorate macbook G6 Desktop with your favorite color. It keeps your Apple G6 keyboard always new, and its beautiful look can make your PC more fashionable. 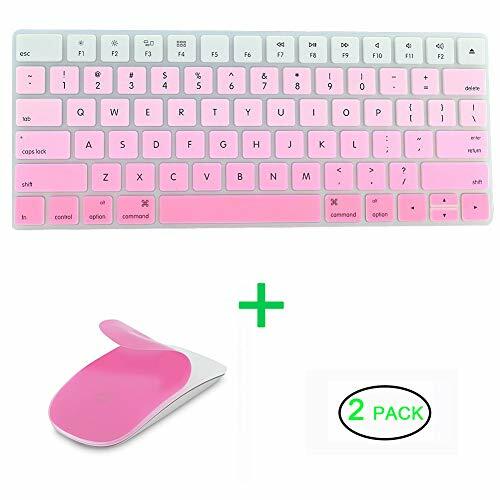 This keyboard cover is ONLY compatible with Apple imac: Apple Full Size Keyboard with Numeric Keypad/ US Version imac G6 wired keyboard/US Version Apple Desktop PC imac Special Note: * Please enlarge listing picture to confirm if layout and signs are exact same with your keyboard. 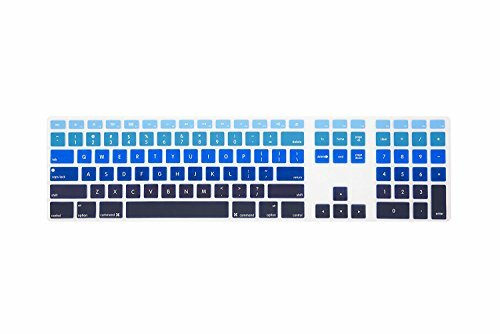 * This keyboard cover is ONLY for USA keyboard layout, NOT compatible with EU/UK European/ISO version. Rinastore Brand guarantees that your purchase is 100% risk-free and superb customer service. 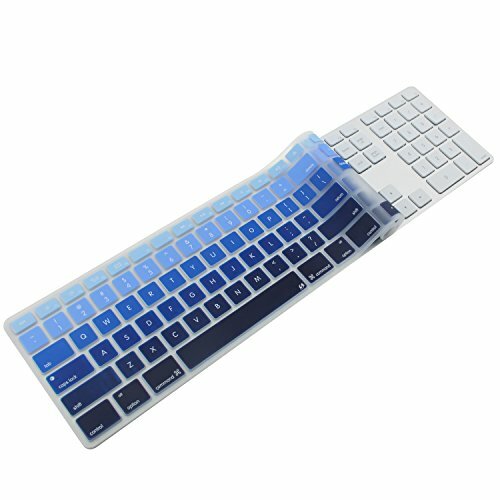 Keyboard Cover Features: -Flexible, washable, easy to apply and remove for cleaning. -Latest design. Every key is individually molded, unique color print on the ultra thin silicone keyboard cover. -Extra slim silicone skin, made it easier for typing. -Protects against Dust, Spills, Key wear and more. 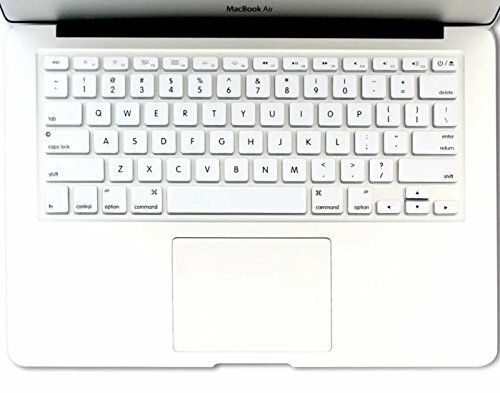 Keyboard Cover Compatible with: (Fit Only USA Keyboard LayOut MacBook ) All MacBook Pro 13.3-Inch with or w/out Retina Display Model: A1278 and A1425/1502 MD212LL/A, MD213LL/A, MB466LL/A, MB467LL/A, MB990LL/A, MB991LL/A, MC374LL/A, MC375LL/A, ME864LL/A, ME865LL/A, ME866LL/A All MacBook Pro 15.4" with or w/out Retina Display Model: A1286 and A1398 MD103LL/A, MD104LL/A, MD318LL/A, MD322LL/A, MC721LL/A, MC371LL/A, MC723LL/A, MC373LL/A,MC975LL/A, MC976LL/A All MacBook Pro 17-Inch Model: MD311LL/A, MD386LL/A, MC725LL/A, MC226LL/A, MC024LL/A, MacBook White 13-Inch New MacBook Air 13-Inch Cover NOT Compatible with: European Keyboard Layout MacBook's MacBook's with Silver Keyboard MacBook Air 11" MacBook 12" Package:1 x keyboard skin Note: There is retail package. 8 Programmable Buttons + Rapid Fire Fully customizable via Software Suite, making it easy and convenient. Plus, the Rapid Fire button gives you the edge you need during those intensive FPS battles 1000Hz High Precision Four polling rate is adjustable: 125Hz, 250Hz, 500Hz, 1000Hz, polling rate ensures smooth and high-speed movement, enjoy games more freely. 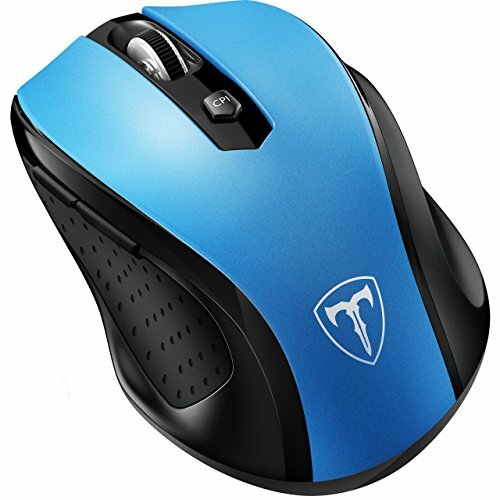 Best PC & Laptop gaming mouse with good value. Chroma RGB Blaze to Victory Equipped with dynamic RGB effects and 7 backlight modes to match every computer setup, game, mood and occasion. Experience 3 zones of illumination that will light up your path to victory. Ergonomic Ambidextrous Hand Grips Designed with an ergonomic profile fit for all hand grip styles and perfect for FPS, MMO, RTS and MOBA right hand players. 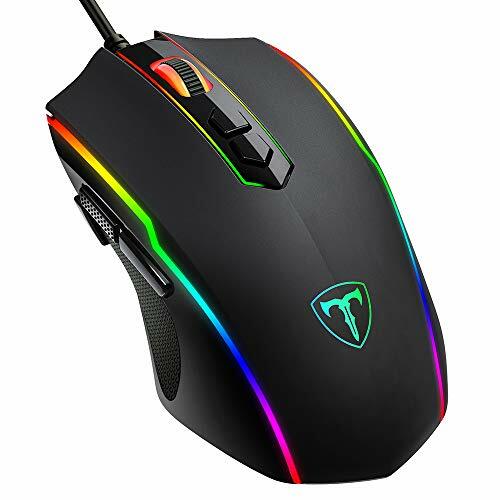 Specifications Product Dimension: 125x70x33mm Type: RGB Wired Gaming Mouse Interface: USB 2.0 / USB 3.0 Default DPI: 1200/2400/3500/5500/7200 Polling Rate: 125Hz/250Hz/500Hz/1000Hz DPI Range: 500~7200 Cable Length : 1.8m / 5.9 ft Warranty: At Pictek, not only we offer high quality products, we back them up with 12-month warranty and a 30-day money back guaranty. 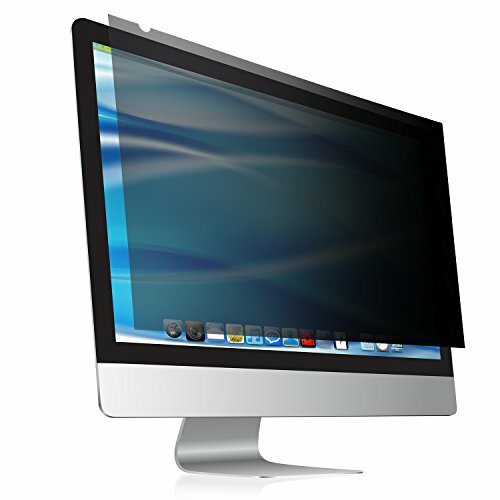 Compare prices on Apple Desktop Skin at Shopsimal.com – use promo codes and coupons for best offers and deals. We work hard to get you amazing deals and collect all avail hot offers online and represent it in one place for the customers. Now our visitors can leverage benefits of big brands and heavy discounts available for that day and for famous brands.